Here, under one cover, are 72 beautiful and contemplative settings by the three major contemporary composers in this genre: Keith Duke, Geoffrey Nobes and Margaret Rizza. Many of these chants consist of a short text set to music which is sung repeatedly, so that those singing or listening can enter into the meaning of the words calmly and without hurry. Other chants adopt a verse and refrain pattern. They are all intended to be as flexible in use as possible, to enhance and complement your worship. 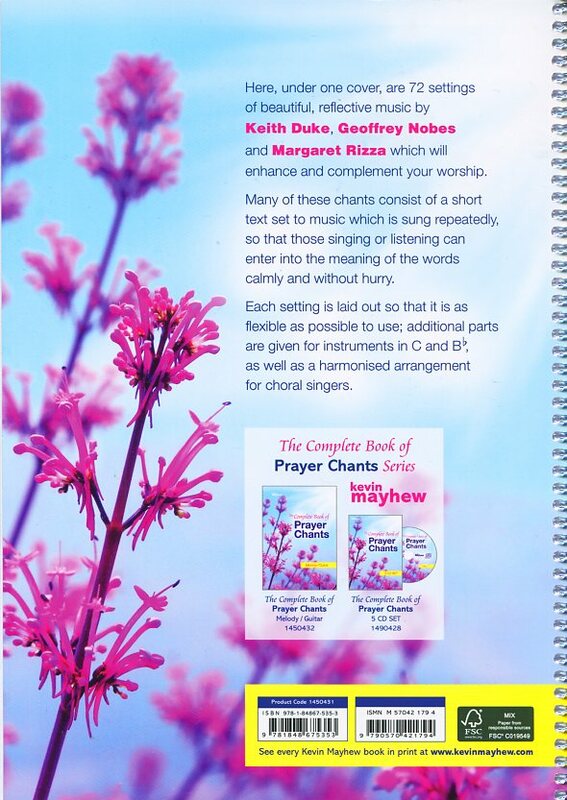 The Complete Book of Prayer Chants: Full Score by Keith Duke, Geoffrey Nobes, Margaret Rizza is published by Kevin Mayhew and is our 27847th best seller. The ISBN for The Complete Book of Prayer Chants: Full Score is 9781848675353. 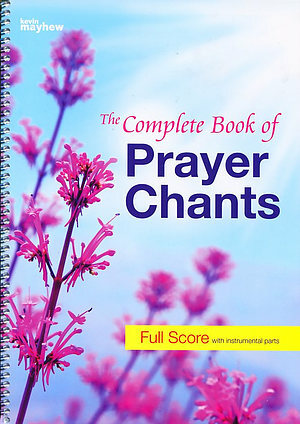 Be the first to review The Complete Book of Prayer Chants: Full Score! Got a question? No problem! Just click here to ask us about The Complete Book of Prayer Chants: Full Score.